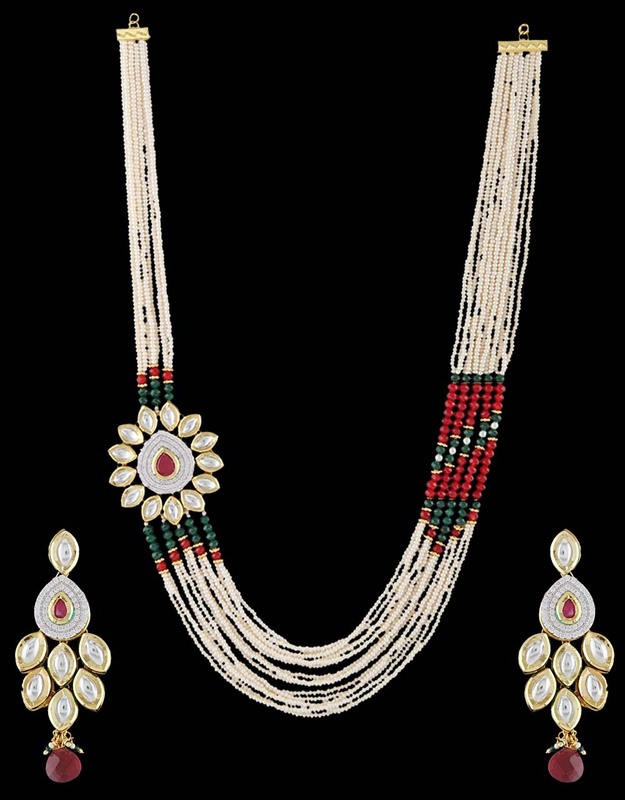 Designed only for you, this multi colored necklace set from the house of Anuradha Art Jewellery will not fail to complete your festive look. 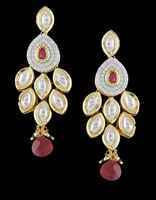 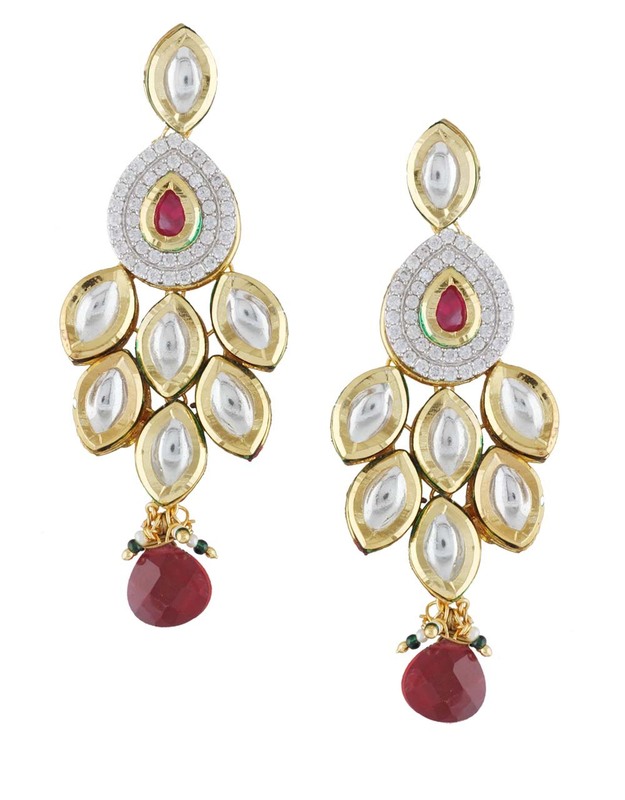 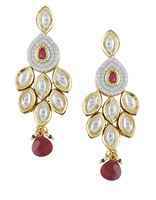 It is styled with American diamonds, ruby & multi colored beads. 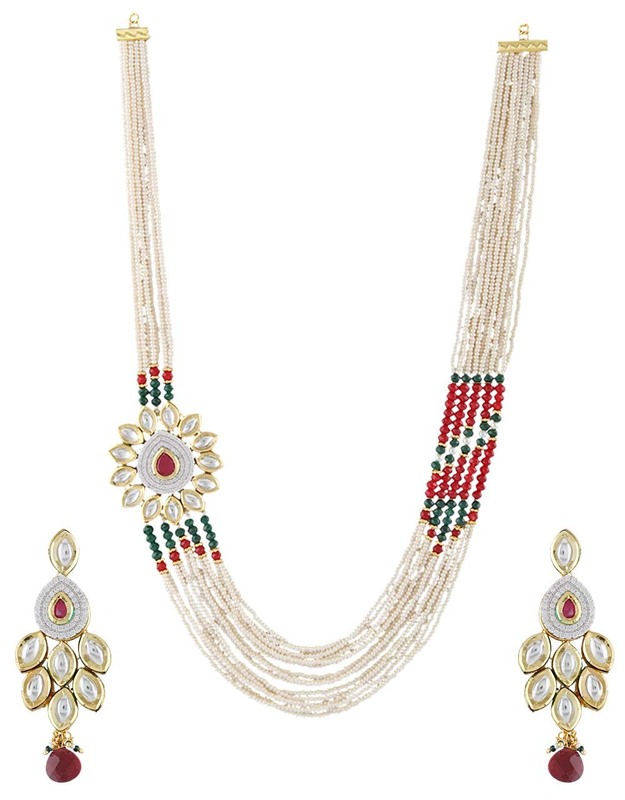 This stylish sidepiece necklace will fetch you lots of compliment for your amazing choice. 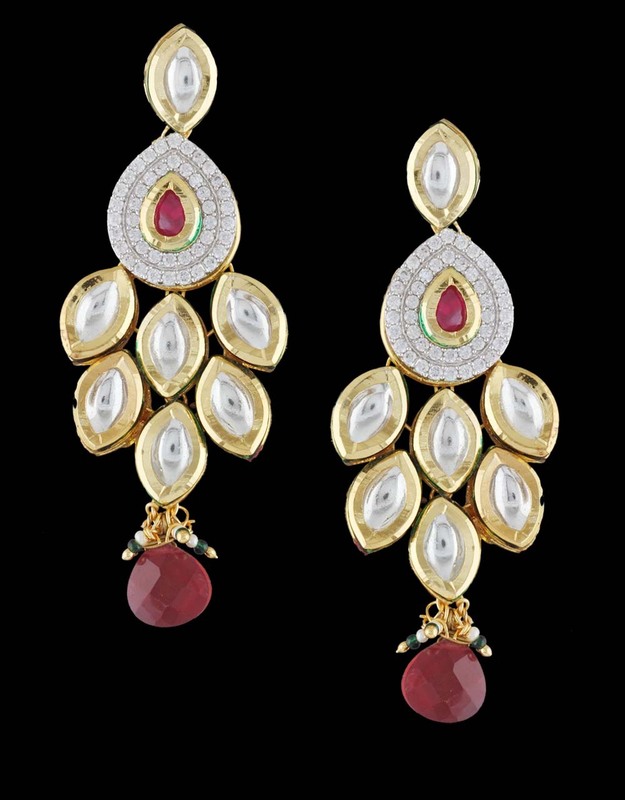 Crafted from 40% silver & golden polished copper.